At some point, most bloggers experience boredom or burnout. It’s hard to get motivated about new content. You haven’t posted for a while and you start making excuses to your audience. Maybe you get jump-started several times only to turn around and, once again, it’s been three weeks since you posted. Writing has become the last thing you feel like doing. The necessary tasks of blog maintenance are falling to the wayside. Things don’t seem to be happening for you so the enthusiasm factor is low, low, low. For some, it’s a quickly passing phase and for others it could mean the end of an online business or blog. Many bloggers just don’t know how to get out of the funk. Remember the days when you first got the idea to start blogging? You couldn’t get your blog set up fast enough. 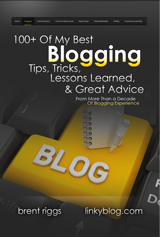 Designing your pages was a thrill and you spent all your free time thinking of ways to improve your blog and educate yourself on how to be the best blogger that ever graced the Internet. You need that energy and passion back. But how? Thought you would never ask. Interact with your readers. You might do a free phone conference, a live chat, or even a social-media gathering where you respond to reader comments instantly and spark conversation and more questions. Let people know you are willing and available to help them. This interaction is a great way to boost your confidence and remind you that people do care what you have to say. You may not be able to answer all of the questions presented but this will be an excellent opportunity to find out what your readers want to know so you can educate yourself and provide answers for them via your blog. If you set up your blog with the intention of helping people (which I hope is at least part of the reason for most everyone), then taking the time to actually do that will be a great reminder of why your blog is important. Expand your skill set. Boredom will quickly set in if you decide you already know everything you need to know. You should never stop learning. Not a day should go by that you aren’t actively seeking out something new to learn about blogging and online business. Think of the value you can provide to your readers by constantly growing in your own expertise and sharing your observations and lessons with them. Think outside your current “box” and look for a new skill that you can learn within your field, or work to improve upon what you already know. There’s a lot of related skills in blogging: marketing, graphic design, basic coding, ecommerce, forums, sales, etc. Create a vision statement. What do you want your blog to be? What kind of impact do you want it to have? Don’t come up with bland statements like: I want to have excellent blog posts, or I want to send out four newsletters a month . . . dig deep and come up with something that hits a nerve, a statement that really means something to you. Develop what is commonly called your “elevator speech” which is what you would say someone you just met on an elevator if they said “you’re a blogger? Tell me about your blog…” Develop the 60-second (or less) answer to that question, and then focus all your work towards turning your vision into reality. Seek a mentor. Many bloggers jump in without asking anyone for help and think that being successful means figuring everything out yourself. That’s a quick route to burnout. Finding a mentor (someone with proven success, not just a self-proclaimed expert) will help keep things on track and help you realize which aspects of your blog (or your online business) are in need of a tune-up. Find someone that will positively challenge you and give you a fresh perspective and encouragement. You would be surprised at how many successful people are willing to help you and mentor you… after all, most of the time it is that willingness to help others succeed that is a primary ingredient in their own success. Build relationships. Before you started blogging, chances are that you visited blogs within your topic and were inspired to build your own online business. 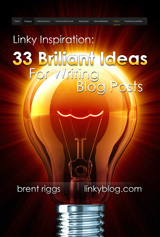 You might have visited those blogs often to get ideas for content and to find new information. Make a list and get inspired again. Leave some helpful comments. Write a note to one of your loyal readers. Use Twitter to make connections. There are countless ways to expand your sphere of influence and be inspired by others with the same interests as yours. Relationships create energy and synergy… when people have mutual expectations, it motivates them to action. Take time away. If you have been overworking your blog, you need a break to avoid burnout. Go do something else that you love. After some real rest and refreshment, you’ll have more energy and creativity for your blog. I’m not advocating ignoring your blog for a month, but nobody is going to miss you if you are gone for a couple of days to recoup your enthusiasm and engage in some quality “thinking.” Get away from blogging for a while and chances are you’ll be in much better spirits when you return. WARNING: people get tired of blogs that “start and stop” all the time, with excuses about how things are “going to be different now.” Don’t apologize for the down time and announce your new resolve, just get back in there and get to work. Get some help. If the day-to-day tasks of keeping up with your blog are getting overwhelming, consider hiring some help. There are plenty of “Virtual Assistant” services out there than can connect you with someone to help you do research, write content, do proofreading/editing, or tackle some of the projects on your growing “to-do” list. You might just hire someone short-term to get you past the current mountain of work, or find someone that provides enough value to your business that you want to keep them around. One of my favorite places to tap talent and help is “stay-at-home moms.” Lots of skilled moms have decided to work from home and enjoy their family. Put the word out that you need some contract work and you’ll be surprise how many responses you can get. A LOT of people want side work, or to work from home. LESSON LEARNED: it’s hard for people to spend the money needed to hire help but the payoff is almost always many times what you invest. You can get 5 times the work done with two people than you can by yourself. 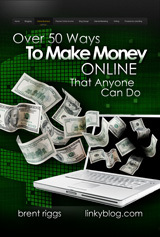 Everyone gets tired of blogging or running their online business at some point; after all, it is real work. Don’t give up, and do whatever it takes to refuel the fires and persevere. 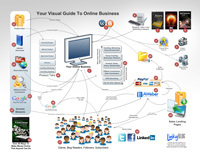 Online-business success is obtainable if you are willing to hang in there and focus on your goals and vision. Let me know what tips you have to stay motivated and avoid blogger burnout. If there is anything I can do to encourage you, contact me. I am on your side and cheering for you!